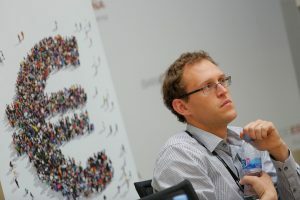 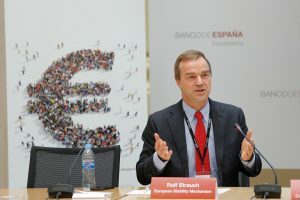 Our two-day conference, organized with the European Stability Mechanism, the International Monetary Fund and the Bank of Spain, saw participants representing the European Commission, central and private banking groups and economic research groups discuss the need for – and the scope of – a fiscal union within the European Monetary Union (EMU). 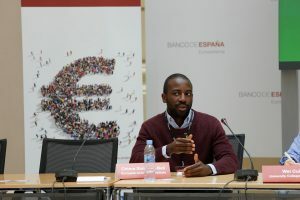 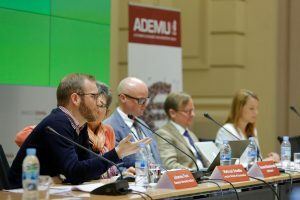 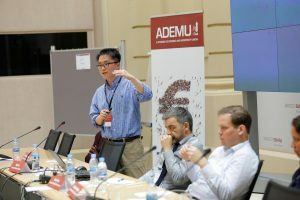 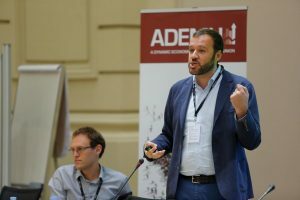 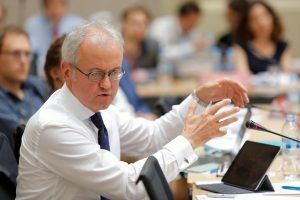 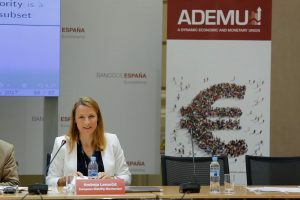 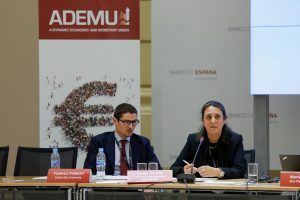 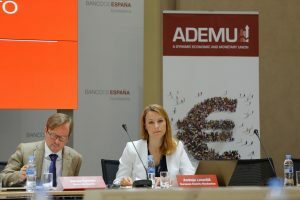 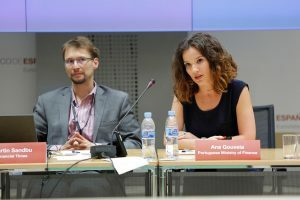 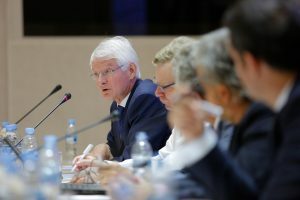 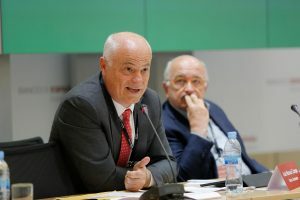 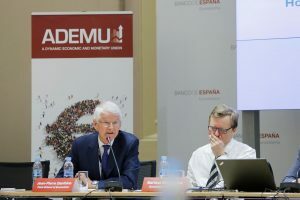 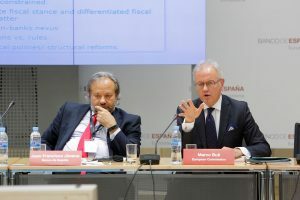 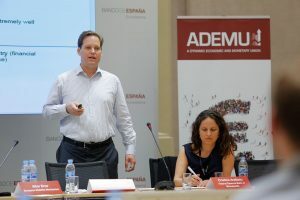 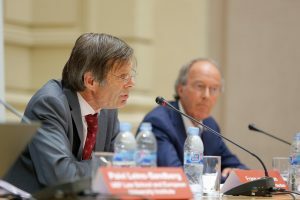 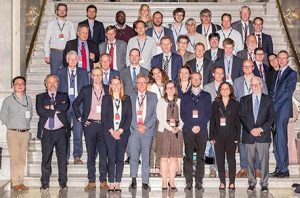 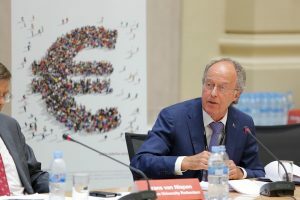 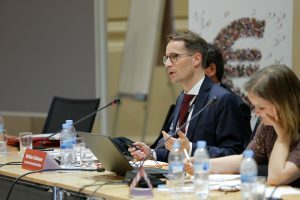 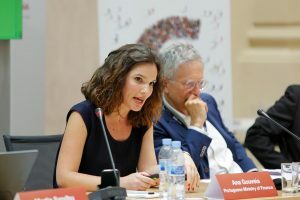 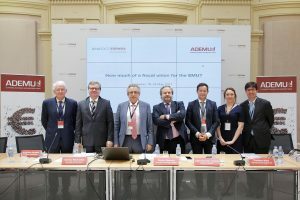 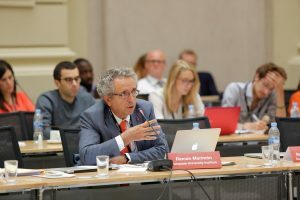 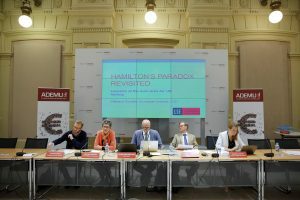 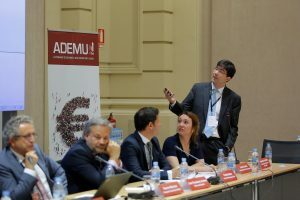 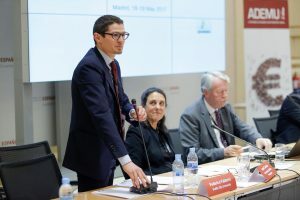 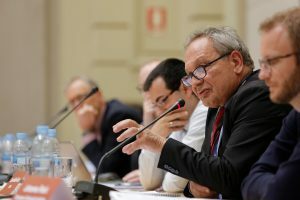 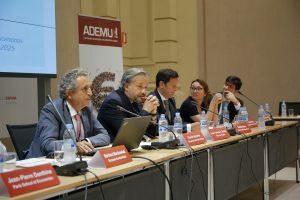 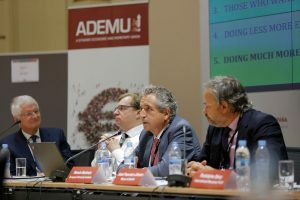 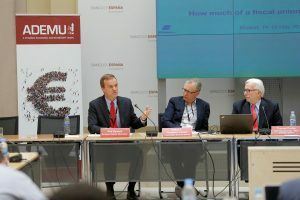 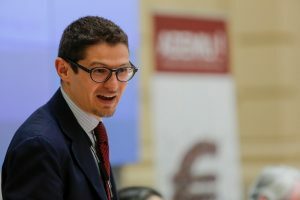 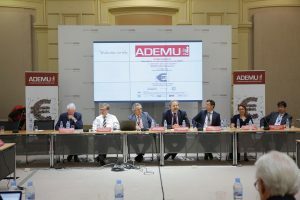 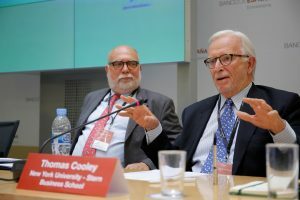 During the conference, held at the Bank of Spain’s Madrid headquarters, 57 international economists, lawyers, social scientists and researchers presented research and findings into the need for a fiscal union and discussed the future of the euro area. 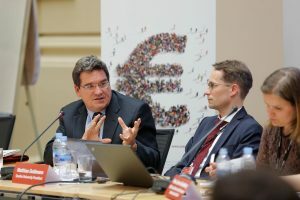 Participants discussed their own research alongside the EC’s current proposals for the EMU, detailed in its White Paper on the Future of Europe. 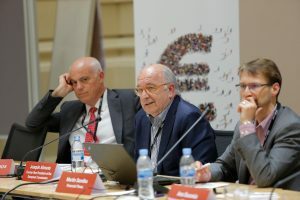 In the paper, the EC suggests five suggested outcomes: 1) carrying on; 2) nothing but the single market; 3) those who want more do more; 4) doing less more efficiently, and 5) doing much more together. 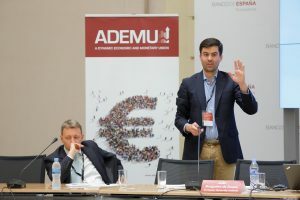 Introducing the conference, ADEMU’s scientific co-ordinator Ramon Marimon referred to the white paper. 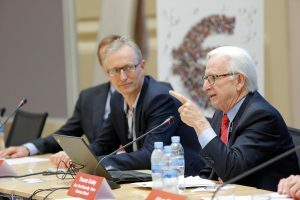 Rather than the five scenarios suggested in the paper, he said, there was one over-riding principle: the ‘3½ solution’, in which those who want to, do more, but only what can be done efficiently is done. 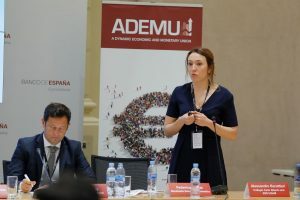 Risk-sharing and unemployment insurance to improve existing schemes of debt financing and national unemployment insurance. 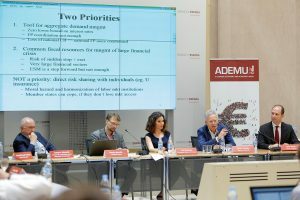 POLICY PANEL: Are current fiscal rules credible? 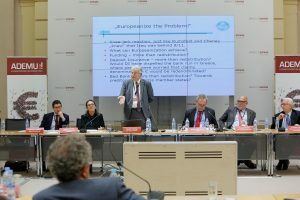 What is the role of fiscal rules and of independent fiscal councils? 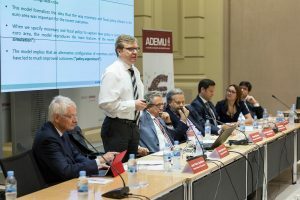 Introduction: Are Fiscal Policy Rules Part of the Solution or the Problem? 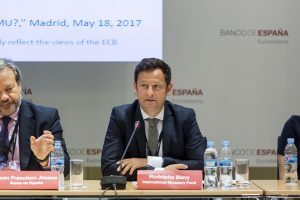 POLICY PANEL: A Treasury for the Banking Union? 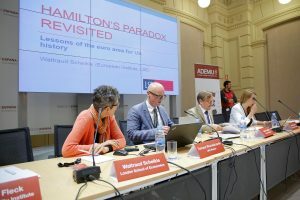 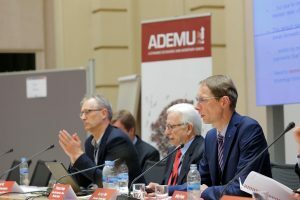 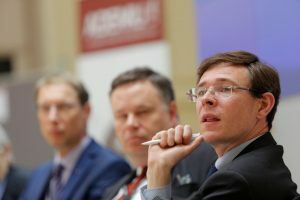 POLICY PANEL: How much of a fiscal union for the EMU? 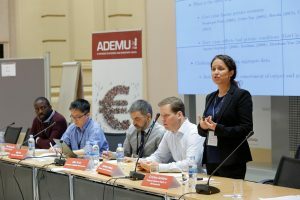 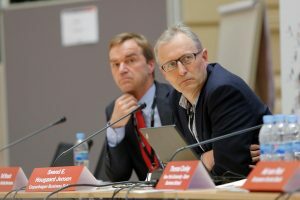 Organizing Committee: Aitor Erce, European Stability Mechanism; Jeffrey R. Franks, European Division, International Monetary Fund; Juan Francisco Jimeno, Banco de España; Ramon Marimon, European University Institute, UPF, Barcelona GSE. 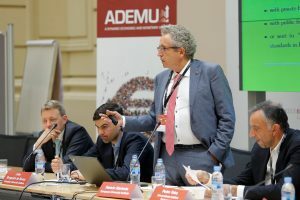 The presentations or conclusions of the conference do not necessarily reflect the views of the organising partners, and should not be reported as such.